Amplified IT’s position as the leading education-focused Google consultancy can be attributed to a blend of unique approaches to education technology consulting, focusing on empowering school district IT staff through the transfer of knowledge. For schools that have adopted Google for Education, one of the steps that often gets put on the back burner is fully completing the deployment of Gmail for both staff and students. However, to fully utilize Google’s range of features, it might be time to take another look. The best approach to a Gmail Migration will be determined by your school district’s goals, the level of knowledge and experience of your technical staff, and the budget your school district can afford. DIY: You can always take the Do-It-Yourself approach and migrate data over to G Suite using Google’s free Data Migration Service. This will require some level of technical ability and project planning. 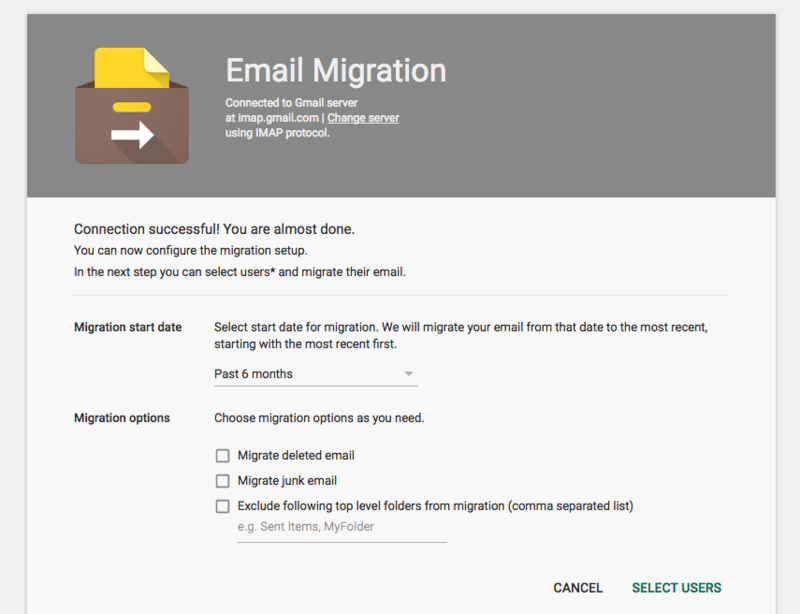 This option provides limited migration of email, calendar, and contacts. This solution is ideal for smaller environments where close tabs can be kept on individual user migrations. Ad Hoc Migration Support: An Ad Hoc option is ideal if your team has technical ability, but are looking for the guidance from a team known for their successful migrations with over 300 school districts. Having an experienced pool to provide your team added support and point out the main hurdles in the process offers an opportunity to learn while also taking the time to manage elements of the migration yourself. We share our experience with your team and ensure a detailed migration plan is created, empowering you to migrate on your own schedule. A White Glove Migration: With thousands of hours of experience performing and managing large and small migrations for school districts all over the US, this option is ideal if you’re looking to have all aspects of the migration handled by our experienced technical team. Ensure things happen quickly, efficiently and the way you want – without worrying about errors. Our migration experts use a combination of tools to ensure data is moved with high speed and accuracy, including many additional features not available with free alternatives. If you opt to try DIY or attempt to do part of the migration yourself, be sure to read this “Gotcha’s” article written by our Chief Cloud Architect Keegan Morrison from what his team has learned through the thousands of account migrations they have done for schools. If you’re ready to start your Migration, connect with us to schedule a consultation with our technical services team.